Street Plans places a high value on research, writing, and communicating best practices. Our published work has given shape to a wide range of topics including tactical urbanism, open streets, smart growth, new urbanism, public market design, public space stewardship, resiliency, and more. Our writing, projects, and advocacy work has been featured in The New York Times, City Lab, NPR, NBC, ABC, Next City, Streetsblog, Planning Magazine, Grist, Salon, Tree Hugger, Momentum Magazine, Forbes, The Village Voice, and The Miami Herald among many other other publications. 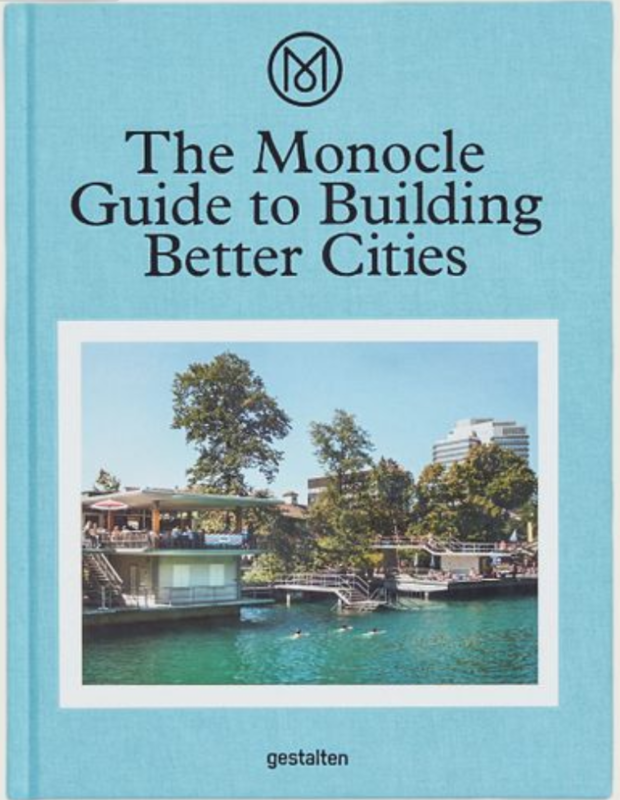 Street Plans’ Principal Mike Lydon authored an essay for Monocle’s new book titled The Monocle Guide to Building Better Cities, published by Die Gestalten Verlag. The essay, titled Take Small Steps, uncovers tactical urbanism and offers supporting examples underscoring how short-term action can be leveraged into long-term change. The book is available for purchase online. 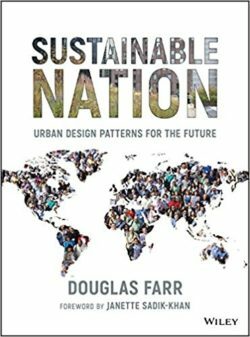 Street Plans’ Principal Mike Lydon wrote a chapter in a new book titled Sustainable Nation: Urban Design Patterns for the Future, published by John Wiley & Sons, Inc. and authored by Farr Associate‘s Douglas Farr. 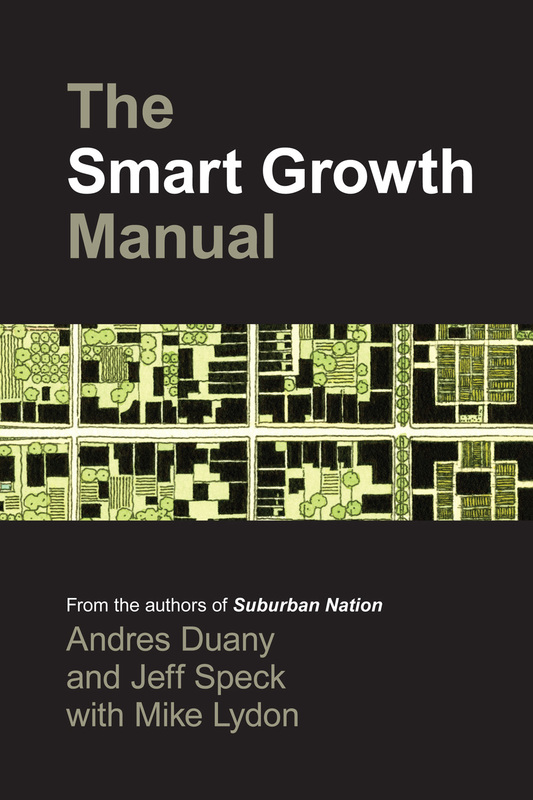 The chapter is about deliberating positive neighborhood change quickly through Tactical Urbanism. The book is available for purchase online and at a variety of bookstores. 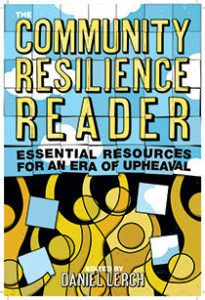 Street Plans’ Principal Mike Lydon wrote a chapter in a new book titled Community Resilience Reader: Essential Resources for an Era of Upheaval, published by Island Press and edited by Post Carbon Institute‘s Daniel Lerch. 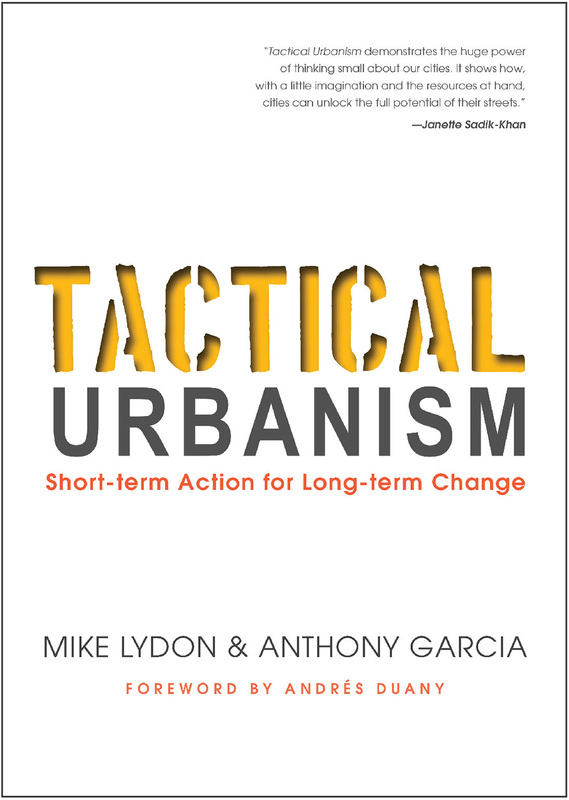 The chapter is about “Tactical Resilience,” which applies the short-term, low-cost approach of Tactical Urbanism to work towards more resilient cities, streets, and communities. Thanks to funding from the John S. and James L. Knight Foundation and review support from NACTO and the Vision Zero Network, we are proud to present the Tactical Urbanist’s Guide to Materials and Design. This new print and digital resource provides high-quality design and materials guidance for citizen-led demonstration, and city-led pilot and interim design projects. In addition, we have begun hosting a workshop series to accompany the Guide, with the goal of expanding participating agency (or agencies) familiarity and comfort with planning and executing collaborative demonstration, pilot, and interim design projects. If you are interested in a workshop or want to get in touch, visit our Contact page. 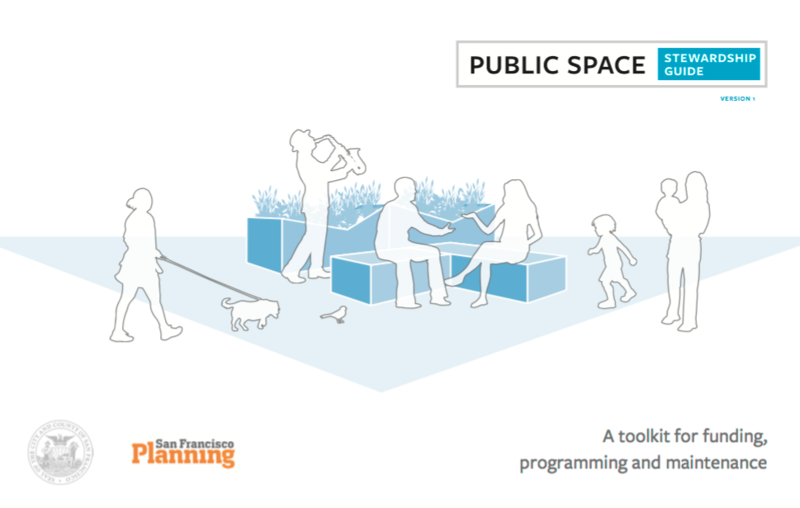 Street Plans, in collaboration with the San Francisco Planning Department and MJM Management Group, has released the Public Space Stewardship Guide, a living document that provides community groups and city leaders with models, case studies and ready-to-use tools for funding, programming and maintaining a successful public space. Successful public spaces require funding, programming, and maintenance; and the most celebrated spaces need community partnerships to implement all three. However, cities and communities have historically lacked the resources to better understand, compare and budget for these essential elements of public space stewardship. The Public Space Stewardship Guide comes at an opportune moment as more neighborhood associations, non-profits and elected representatives seek to support public life in their own plazas, parks and neighborhood spaces. Check out the full online PDF version of the guide. To learn more visit the guide’s website and SF Planning’s press release. Through the publication of four open-source guides and one full-length book, we have become the stewards of the Tactical Urbanism movement. 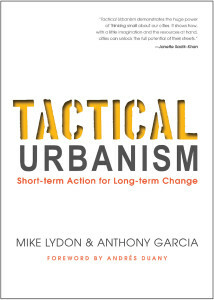 With Island Press, Mike Lydon and Anthony Garcia have written and recently published the highly anticipated book Tactical Urbanism: Short-term Action for Long-term Change. Click here to order the book, or pick up a copy at your local bookstore today! 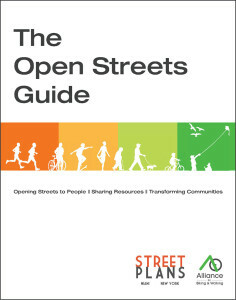 Prior to publishing the full-length book, Street Plans worked with numerous collaborators, to produce four open-source Tactical Urbanism Guides. The Guides have been translated into four languages, and have been downloaded over 300,000 times. 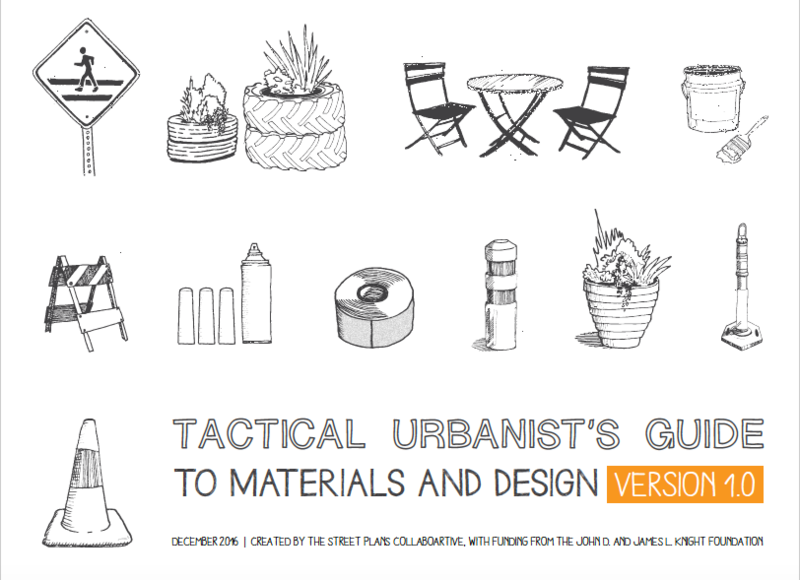 To download all of the guides, please visit the Tactical Urbanism Guides website. 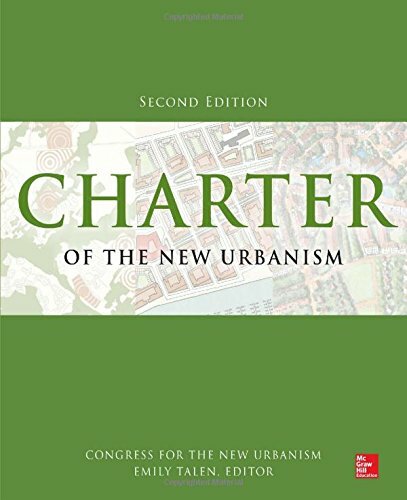 Street Plans’ Principal Mike Lydon contributed to the Second Edition of Charter of The New Urbanism, published by McGraw-Hill and edited by Emily Talen. The book consists of writing from 62 of the most influential urbanists addressing the Charter of the New Urbanism’s 27 principles that guide urban planning, design, and public policy. The book can be purchased online and at bookstores everywhere. In partnership with The Alliance for Biking and Walking, and with funding from The Fund for the Environment and Urban Life, The Street Plans Collaborative recently completed a two year research project entitled The Open Streets Project. 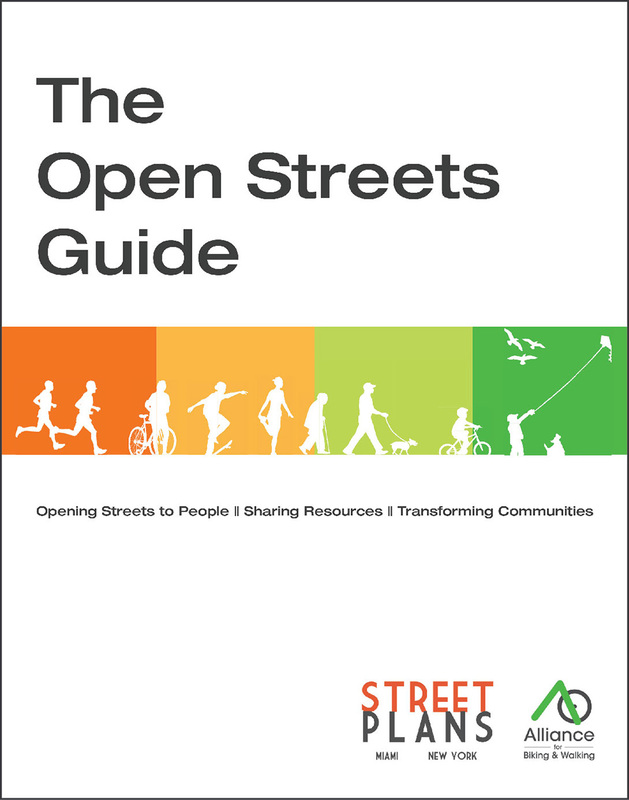 The project website showcases dozens of current initiatives across the continent and allows municipalities and advocacy organizations to share information and resources on their open streets initiatives as they evolve and expand. The Open Streets Guide features best practices from 67 initiatives across the continent, and serves as a tool for cities looking to start or grow an open streets initiative. A print version is available at www.OpenStreetsProject.org. 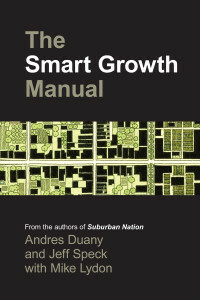 Mike collaborated with Andres Duany and Jeff Speck in writing The Smart Growth Manual, ranked by Planetizen as one of the top ten urban planning, design, and development books of 2010. The Manual is now available for purchase online and at bookstores everywhere. 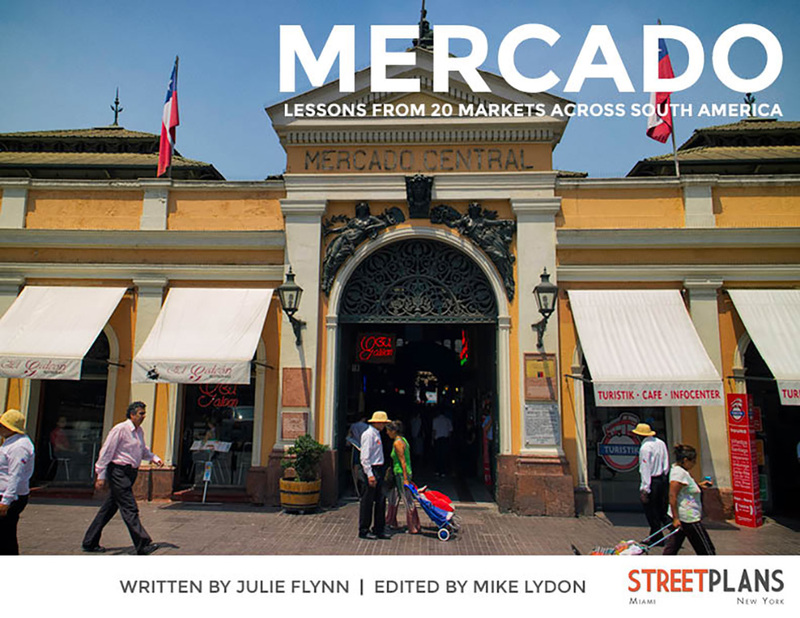 Julie Flynn, a Project Manager with Street Plans, spent five months researching markets in South America. 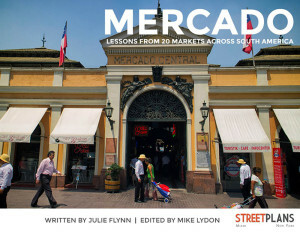 The Mercados Project is the result of her research. An article written for Planetizen provides a nice summary of the work. From 2008 to 2012, Tony Garcia was the managing editor and publisher of Transitmiami.com, a website dedicated to planning and transportation in South Florida. The site provides a group of passionate professional planners, advocates and every-day citizens with a forum to discuss needed changes in how planning and development occurs in South Florida. Transitmiami.com pursued a variety of community and city-wide campaigns, ranging from lowering speeds on Brickell Avenue, to reforming the local Transit Tax. Most recently, Transitmiami.com Utilized a multi-faceted web-based media platform to build grassroots support for the City’s passage of Miami 21, a highly innovative form-based code that now codifies smart growth.